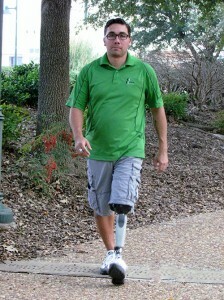 At Advanced Prosthetic Research Waco, our mission is to provide extraordinary patient care by utilizing the best and most appropriate prosthetic components, along with a personalized treatment plan to maximize the chances of successful ambulation. We are also committed to working with all involved healthcare professionals, patients, and their loved ones to ensure that a patient’s journey to successful ambulation doesn’t stop after they receive their prosthesis. Our passion is your success! Please Contact Us today for your tomorrow!